There are (3) cartwheels for Tide & Gain Laundry Detergent & P&G Laundry products! Have you checked them out yet? Don’t forget that there is a great deal for a FREE $10 Gift Card wyb 3 Select P&G Household Items at Target thru 4/19. The offer includes select Tide, Gain & Downy products so these cartwheels will help you save even more. The large value-size 19.5 oz bottles of Downy Unstoppables are included at $9.99 each. Check out this deal for some great savings when you combine the gift card deal with manufacturer and store coupons. 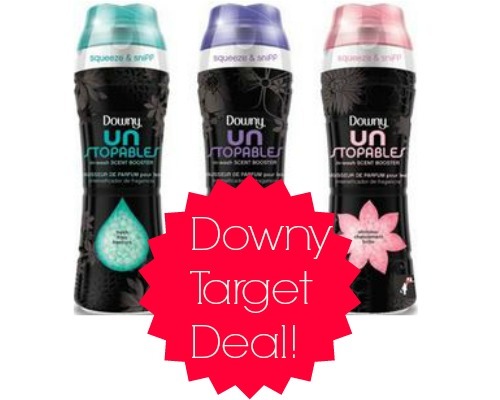 (3) Downy Unstopables 19.5 oz $9.99 ea.